Creating a staging site a great way to create, test and preview the look and functionality of a site before making it viewable to the public. 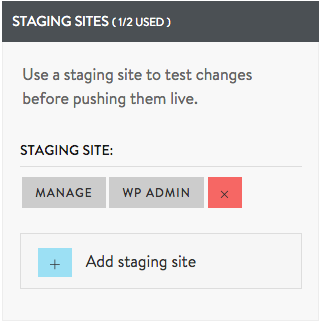 This article will explain how to create a staging site within your Managed WordPress service. 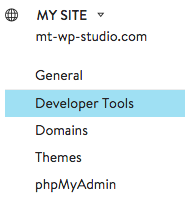 From the Overview tab, click the Admin button for the Managed WordPress service you want to work with. Next, click the site you want to create a staging site for. Click Developer Tools from the menu on the left. This will bring up the staging panel. Click on Add staging site to create a new staging site. You will have 2 available slots if you have not staged a site for this domain before. The staging site will begin to provision itself. This can take up to three minutes to fully complete. The new staging site will then appear in one of the slots and you can begin customizing its look and functionality. Next, click the domain you want to sync your staged site to. This will bring up the Staging Sites panel to the right of the menu. 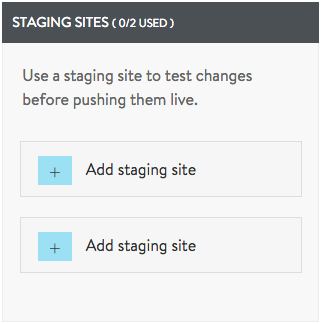 Click on MANAGE for the staging site you wish to sync. Click Sync Sites from the Staging Site menu on the left. 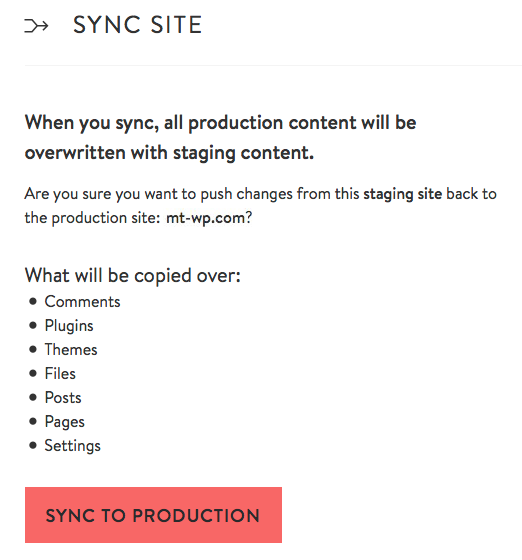 Click SYNC TO PRODUCTION to sync your staging site to your domain. When the sync is complete you will be asked to verify the changes. Next, click the domain you want to remove a staging site for. This will bring up the Staging Sites panel to the right of the menu. Click on the X icon to the right of the staging site. 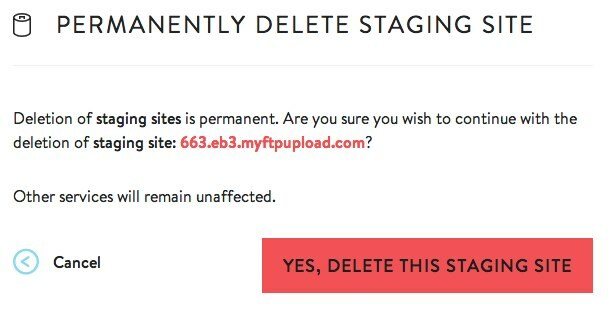 Lastly, click on YES, DELETE THIS STAGING SITE to completely remove your staging site.